“Impossible is not a fact. It's an opinion. Impossible is not a declaration. It's a dare. Impossible is potential. Impossible is temporary. Impossible is nothing,” Muhammad Ali. This October on the all new Superhuman Showdown, be prepared to start believing that just about anything is achievable. Join globally acclaimed scientists, leading sports scientist and former British Olympic athlete Professor Greg Whyte; brain surgeon and scientist Dr. Rahul Jandia, MD and PhD; and neuropsychiatrist and brain behaviour expert Dr. Heather Berlin, as they embark on a heart-thumping worldwide quest to track down and investigate individuals with mind-blowing unique abilities that extend far beyond that of ordinary humans. From incredible extreme cold water swimmers to body-defying contortionists, champion eaters consuming massive quantities of food at lightning speed to record-breaking mathematicians, witness these astounding individuals pit their talent in a series of extraordinary challenges designed to push their skills to the extreme edge. Get ready to hold your breath on Superhuman Showdown, premiering Monday at 10 p.m., starting October 15. Encores every Tuesday at 9:00 a.m. and 3:00 p.m., and Saturday at 6:00 p.m.
Five parts of jaw-dropping bionic capabilities, Superhuman Showdown investigates the physical and mental makeup of the world’s most extraordinary people to determine the science behind their superhuman skills. Categorising their feats based on five unifying traits including speed, strength, endurance, brain power or skill, each episode sees five superhumans push themselves to the limit in a series of rigorous scientific tests. 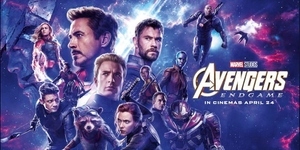 Following these stringent analyses in a high-tech lab, Dr. Rahul, Professor Whyte and Dr. Berlin then select the two most impressive individuals from each category to go head to head in a gruelling final showdown where they take their abilities further than they have ever taken them before. On this episode, Dr. Berlin, Dr. Rahul and Professor Whyte test the superhuman endurance of five contestants. 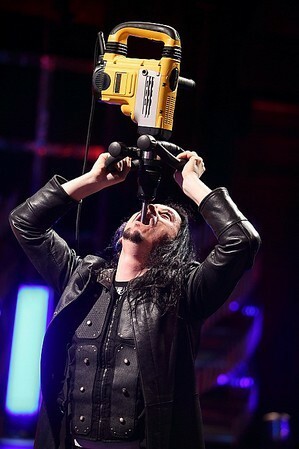 See if sword swallower Thomas Blackthorne can insert a jack hammer down his throat. Pilot Hannes Arch will determine how much G-force he can withstand. See how many amps of electricity Raj Mohan Nair can channel through his body. Internationally renowned endurance swimmer Ram Barkai will try to beat his personal best record by swimming for 1 km in ice cold, 0.4°C water. Plus, can Eduardo Lasaga demonstrate his exceptional abdominal strength by supporting 1484kg of weight on his chest? 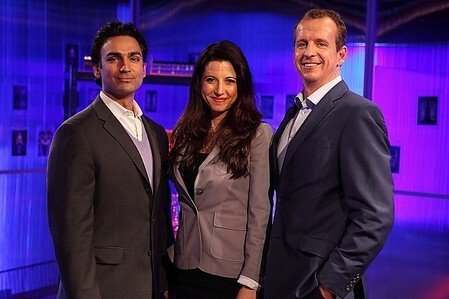 Dr. Berlin, Dr. Rahul and Professor Whyte test the superhuman skills of their latest subjects. World champion dagger thrower Todd Abrams will try to catch a dagger in mid-air. Contortionist Iona Luvsandorj will attempt to perform the Marinelli bend. Free runner Dan Mast will try to leap between two rooftops without any safety equipment. 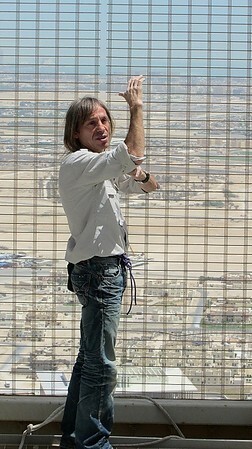 Alain Robert will try to scale the Aspire Tower in Doha, Qatar without ropes or a safety net. Plus, find out how long world champion free diver Stig Serverinsen can hold his breath. Dr. Berlin, Dr. Rahul and Professor Whyte test the superhuman speed of their latest subjects. Watch Dr. Mak Yuree break baseball bats in half with his naked legs. See how far multi-world record-holding strongman Franz Müllner can throw a washing machine? How has Jemal Tkeshelashvili developed lungs strong enough to blow up and burst hot water bottles? Can voice coach Jaime Vendera manipulate his voice so it can shatter glass? Plus, can Conrad Karukenya’s incredible core strength withstand the weight of a Land Rover driving right over him? Dr. Berlin, Dr. Rahul and Professor Whyte test the superhuman speed of their latest subjects. What enables record breaking speed-eater, Pete Czerwinski, to devour pizzas at lightning speed? Revolver shooting champion Jerry Miculek will try to empty a six-shot revolver in under a second! Will extraordinary breakdancer, Aichi Ono, break his own record for the most head spins performed in one minute? See how base jumper Frode Johannessen flies at speeds of 140mph without any kind of motorized assistance. Plus, find out how violinist Ben Lee plays 810 notes in one minute. Dr. Berlin, Dr. Rahul and Professor Whyte put five exceptional individuals with superhuman brain power through a series of strenuous mental challenges. How does incredible mathematician Yusnier Viera mentally calculate on which day of the week random dates fall? See what enables memory master Ramon Campayo to memorise twenty numbers in less than a second. How does Shaolin warrior Matthew Ahmet use meditation to suppress pain? See how Fran Capo, the fastest talking woman in the world, can talk at a rate of 603 words a minute. Plus, can 18 year old Gabriel Dechichi Barbar solve three Rubik’s cubes simultaneously whilst blindfolded?